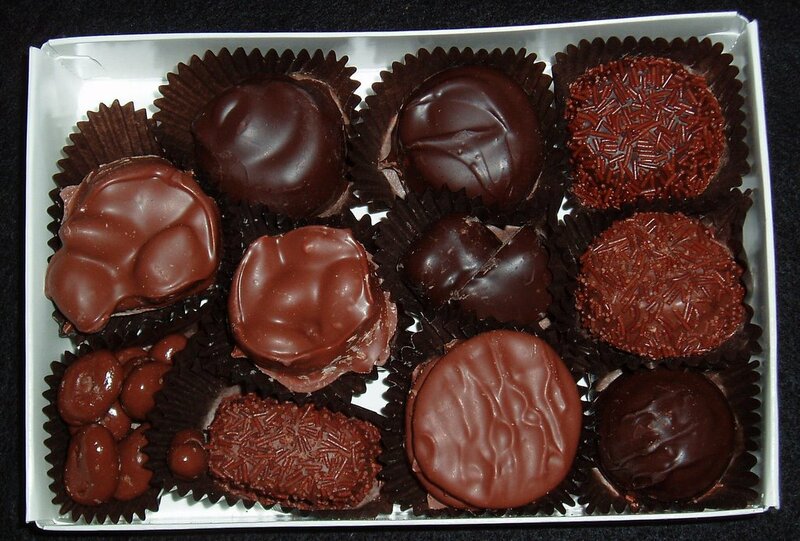 Blog Appetit: See's Candies -- Just What's in That Box? I've noticed that Blog Appetit is being searched a lot this holiday season for information on See's Candies. I imagine holiday guests and sweet-toothed Santas have left a lot of See's boxes without, horrors, leaving a guide for what's inside. Good news. Each candy is distinctively marked. Recently I've been to some See's stores and seen a full color handout as to which piece is which. Also, most of See's individual pieces are also lovingly portrayed on the See's website. Click here to see that. Prepackaged assortments do come with nutritional information, but if someone created a custom mix for you or if you just went to the shop and bought a few pieces for yourself (one of the delights of shopping See's), that information might not be available. Here's the info on calories, carbs, fat, sugar, etc. I spent a year tasting and evaulating See's Candies for Sugar Savvy. You can see what I wrote there here (and maybe see if you really want to bite into that apple pie truffle or mincemeat candy). To see what else I've written on Blog Appetit about See's, including a See's trivia quiz, click here. Update: 12/14/10 -- Unfortunately the links for my Sugar Savvy posts are broken since the Well Fed Network is no more. Read this post for more info and on how to find Sugar Savvy posts using the Wayback Machine site.